A herniated disc is the most common cause of sciatica, which causes pain that radiates from your lower back down your leg. Whether you have radiating pain or chronic lower back or neck pain, you may have a herniated disc. 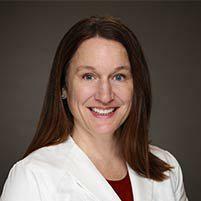 Dr. Carrie Shulman at The Florida Center for Minimally Invasive Neurosurgery specializes in targeting the cause of your pain and developing a customized treatment pain to relieve your symptoms. To learn whether you may have a herniated disc, call the office in Clearwater, Tampa Bay, Florida, or book an appointment online. The vertebrae in your spine are separated and cushioned by discs that serve as shock absorbers and prevent the bones from rubbing together. Each disc consists of an outer, fibrous layer that encloses a gel-like material in the center of the disc. When the exterior shell is damaged or weakened, pressure from vertebrae can push the inner material out of the disc, causing a herniated disc. Once your disc is herniated, it can press against nerves traveling through the spine. As you get older, the discs become susceptible to herniation as they being to dry out and crack, or due to degeneration from daily wear-and-tear. Activities that add stress and pressure, such as lifting heavy objects and sitting for a long time, can lead to disc herniation. You may also suffer a sudden, acute ruptured disc through an injury. Herniated discs can develop in your neck, but they’re most common in your lower back. Your primary symptom may be chronic lower back or neck pain. When the disc presses against a nerve, however, you’ll develop other symptoms that may occur anywhere along the affected nerve. The most common condition arising from nerve involvement is sciatica, which causes sharp pain radiating through your buttock and down your leg. Nerve involvement can also cause numbness, tingling, or muscle weakness in your upper or lower extremities, depending on where the herniated disc is located. Dr. Shulman develops a customized treatment plan based on the severity of your pain and degree of herniation. The first-line of treatment begins with conservative measures, then surgery is considered if your symptoms persist. Medication: Anti-inflammatory medications, muscle relaxers, and over-the-counter pain relievers help you stay comfortable. Physical therapy: Physical therapy may include massage, therapeutic ultrasound, electrical muscle stimulation, pelvic traction, and exercises to strengthen and stretch your spine. Epidural steroid injection: Using X-ray guidance to inject steroids at the site of your herniated disc significantly reduces inflammation and relieves pain. Surgery: When your pain persists, you have difficulty walking or standing, or you develop neurologic problems, Dr. Shulman may recommend minimally invasive surgery. If you develop symptoms of a herniated disc, call The Florida Center for Minimally Invasive Neurosurgery, or book an appointment online.